Our company has name and fame in providing Manganese Powder to the clients. This product can be customized as per precious customer’s specifications. This product is widely known for its stability and quality. This product is used for various applications including structural metal, steel and aluminum. Manganese dioxide is a black or dark brown coloured powder. The molecular formula is MnO2. We are a unique entity in the industry, actively committed towards offering a qualitative range of Manganese Metal Powder. 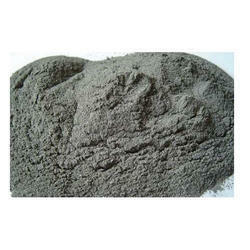 Due to our decent proficiency in this work area, we provide Manganese Dioxide Powder. Our patrons can avail these easily from us. 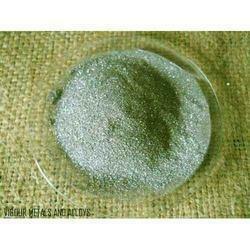 We are engaged in offering Manganese Sulphate Powder which is processed from premium grade raw material. Our products are processed under strict supervision of experts who assure our clients for purity of manganese sulphate. Moreover, we offer our products in customized packaging as per the choice of our clients. Under the meticulous supervision of our highly skilled professionals, we are providing high quality range of Feed Grade Manganese Oxide Powder. We also offer different grades of powdered manganese dioxide in powder. Manganese dioxide is an essential ingredient used for manufacturing dry cells. Our Manganese Dioxide Powder are available at industrial leading price. Avail from us Manganese Dioxide Powder that is a black or grayish odorless compound. Our company has acquired a distinct position in the domain as a prominent Manganese Dioxide Powder Processor, Exporter, and Supplier. We offer Manganese Dioxide Powder at the most reasonable price. By keeping track of current market development, we are into offering an excellent range of Manganese Metal Powder. We offer high quality Manganese Powder that is used in several industrial applications. The Manganese Powder is manufactured by us using sophisticated technology. This ensures that the Manganese Powder has consistent particle size and is free flowing. Moreover, our Manganese Powder is highly pure. We offer this Manganese Powder in neat packaging that keeps the contents intact.